Because of the new media ebay Katodev intends to re-invoke development activity. Many things are easier and cheaper because of the online market. Katodev offers two CDTV clockport Interfaces at E-Bay which never sold before. Thorsten Hansen of Katodev hardly works at high-quality drivers for Amiga-OS on foreign Soundhardware (Mainboards using chipsets of SIS, VIA, INTEL and Soundblaster PICs). AMPlifier has some new features asked by users. Now AMPlifier is available again with much new features. Xaudio is only an example for a modern sound driver. The paulaaudio.device is only an option for people who think AHI is not the best chose for all applications. It won`t be supported from Katodev and is only for OS3.9 user (not download here). 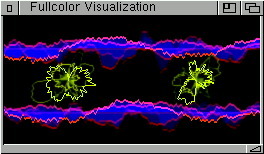 The enviroment variable for Picasso 96 to play with 44.1kHz with ECS/AGA computer is: ENVARC:picasso96/Amigavideo. In this file you have to find 15kHz (for Cybergrafix take a look in its manual). You can change the settings with SETENV picasso96/Amigavideo 31kHz. When the file ENVARC:Paulaaudio/hifreqs exists paulaaudio.device know he can play in 44.1kHz. The result is some applications don`t need to resample (more CPU time) and can play in better quallity. Katodev has some do it yourself instructions as a Xmas gift. The projects are not for commercial use. If you have some problems with the descriptions please let use know the bad parts. These projects base on Melody 1200. For the Clockport in CDTV (A500, A2000) and the LCD and Digital-output you can buy PCBs from us. Some will be available at February. AMPlifier is in the newest version a part of OS 3.9. our powerfull and systemfriendly Player subjectiv best performance from all available Amiga Player is the MPEG-Player from OS3.9. Please check your configuration , because it is possible he needs too much performance, when you play mp3. Choose the right mpega.library if you haven`t a hardware decoding soundboard. Please don`t use old version from AMPlifier togehter with this one. You will have big problems with the Plug-In ports. The version before this can`t run more than ones. New versions won`t have this problem. Amplifier 2.21 is available after January 1st for all. If there is unexpected trouble with these boards or strange things happen (like low rates esspecially with Twister1200), please have an explaining look at our Auto-Flow-Control page. You can fix it yourself! In germany people noticed guys at KATODEV were selling some of their Amigas. No, we're not stopping or limiting development! You may know there are still some students in the team. This is causing a lower progress of development at the final stage of each semester since there are examns. Additionally the stuff we're busy with is very time intensive and it will still take a while until you'll hear from the great results. Decreasing numbers of the small market even caused a delay of availability regarding Melody1200 and Unity(Net). They'll be there, next! Melody driver update V2.12 Download here! If AMPlifier 2 doesn't work properly make use of adapted driver software, please! Some functions never used in old driver revisions were enhanced are in use now. Note: Currently one of the MCX patches doesn't work with AMPlifier 2. AMPlifier 2 ready for public use! Download here! A bug in the C++ development system stopped public release a few days ago. Now it's ready! Have fun with it and enjoy all that new features and enhancements. If you like to use the playback interface together with professional sound you should have a look at Melody 1200. Doesn't care if you're using A1200 or a Zorro-Machine: A1200BT, A2000, A3000(T), A4000(T). Amiga International, Germany invited ous to the show in cologne again. We'll be able to show known products and even very new things at their booth. Kato Development Group visited the World of Amiga. We presented some of our projects at the booth of Power Computing. Kato Development Group and Gruner Bürotechnik finally moved to new domain now. Due several problems with Emails, Webspace and synchronisation of work, Gruner gave ous some space on their Domain. The whole team is very thankfull for this move. No longer use any of the old EMAILs since they stopped working. Kato Development Group visits the Mekka-Symposium. As usuall we'll present our projects. If possible we're giving products for testing at the time of the party. We're enjoying the meeting and competitions! Melody 1200 Digital IO expansion was presented at its final (sales) revision. Kato Development Group sponsors door prices for the Gateway Computer Show. A representative will probably show Melody 1200 PRO and Twister 1200 until they're given away as prices. There will even be paper flyers. Look for him! There is a new AMPlifier with new magic Plug-In interface. Look for it! After the final testing is over now twister.device offers the EOF-Mode, which is very usefull f.e. when using Miami. The mechanism removes Overhead which is not nessecary and reduces load to the machine. Last time much affort was spend into optimising twister.device (even this topic) again. It's strongly recommended to use the new driver even if the old one works fine. For poor Hardware there is the possibility now to switch-off Hardwarehandshake. Melody1200 got new drivers which may fix some trouble at special (non-default) configurations like a failture which sometimes happened when extended length of interconnection (between the boards) is used. Kato Development Group and supporters will start to do a multilingual homepage. Up to now it's still english and german, but a version for poland will be added soon. Kato Development Group presents most of the products at the booth of Amiga International. Sometimes it was difficult to answer all the questions, do presentations at the wall and talk to dealers and so on.Thanks for your interest! Twister 1200 Serial interface was presented sold first time. Kato Development allready started development of a Wavetable add-on for MelodyNG. It's intended to get it offered together with an earlier anounced RS232 -> MIDI Converter. The price will be lower than expected. After the work which was spend for previous works it's possible to do a more powerfull but even much more expensive partner for Melody-Z2. The key specs are be the same like for Melody1200 except a much higher busbandwith (even higher than the speed at old Melody-Z2). It will be available in low numbers at the time of the WOC in cologne maybe on the WOC. A-LAN capable Digital I/O (for first fibre only) will be available for MelodyNG as an add-on. The price is expected to be very low in our eyes. For MelodyNG Melody1200 gets modified for Multichannel usage. A new variant of Melody1200 with name Melody 1200 MultiCH will probably be available this year. The board is equivalent to Melody1200base which means no MPEG support. This board won't be available for a low and nice price. Many people were asking for a new real fast serial interface for A1200. Different to other designers the chipset used at our boards is able to drive 460800BPS within its specs. No question its using full hardwarehandshake to enable FIFO based dataflow. Forget about hardwarebuffer overflow known from cheap stuff and Amiga's Chipset itself. The use together with MelodyNG esspecially Melody 1200 is possible without trouble. Because of space it's recomended to use a Tower if used together with Melody. The price will be damn nice. After more than a year of development times regarding MelodyNG (Melody1200 is a part of this code) with its permanent optimisations the first results are visiable at some dealers (Melody 1200 pro and Melody 1200 base). The overall design is modular and real High-END for a prices that makes dreams come true for users with Amiga 1200 and Tower. Representatives of Kato present our projects and resulting products at Magische Tage Trier (MTT'98): MelodyZ2, Melody1200pro, Melody1200plus, AMPlifier and Simmfonie. After many discussions without success (regarding power and pricing) between Kato and a new distribution, again Gruner Bürotechnik does the job. For users this means more power for less money. For Gruner it means work they don't need. Many thanks via this way! A strong delay happens to the shipping of Melody 1200.